All of our camps are very special places and unique in their own ways. 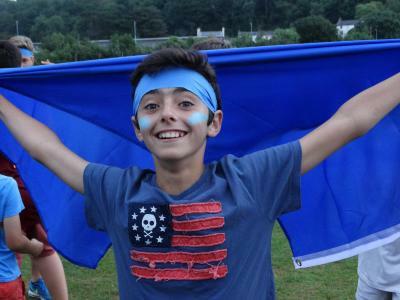 They might differ in the types of activities on offer, the age range of campers and whether they are day or residential camps but they all share our XUK philosophy. Our philosophy is based on family values and directors Richard, Nick and the team ensure that the five below principles and stuck to at all of our camps. Across all of our camps, our campers could be as young as three years old at our day camp or seventeen-year-old young adults taking part in our Leader in Training program at one of our residential camps. Regardless of their age, we want every camper to feel at home. At our day camps, parents have the opportunity to complete a ‘Help us help your child’ form, enabling us to quickly learn about their interests, what they might find challenging and the best way to comfort them, should they need a little TLC. If you kid or teen attends one of our residential camps, upon arrival, they will be introduced to their Dorm Leader. This person will be their first port of call throughout their stay, the person they will see first in the morning during wake up, the last person they see at night as they say goodnight. Dorm Leaders are like your camp Mum or Dad! Our cosy atmosphere is something we are very proud of at XUK. Lots of our staff tell us how once of their favourite places at camp is in the Common Room. A place where our camper hang out with their new friends during free time – chatting, playing games and making memories. It is a lovely place you can walk into and instantly be met with the sound of laughter and a sea of smiling faces! One of the reasons children come to camp is to have fun, trying new activities, making new friends and gaining independence away from their family. We ensure that every child has fun! Each of our camps have a vast range of activities on offer from a clown show with Mr Tickle at Mini Minors to Fencing at XUK English and Water Zorbing at XUK Activity to creating movies at XUK Excel. The fun doesn’t stop when our timetabled activities finish, campers continue to have fun in the evenings too at our residential camps as well as on trips and excursions – soaking up British culture and doing a spot of shopping. Whether you are leaving your child in our care for a morning at our North London day camp or sending them half way across the world for a two week stay at our English summer school, we know it can be a daunting experience for parents. We want the process from the initial stages of enquiry and booking until your child is back in your care to be as easy as possible. Our full time office team are on hand throughout the year to answer ALL of your questions – we love chatting with families new and old! You might just have a couple of little questions, to discuss how long your child should come for or to find out about all of the activities on offer. No matter how big or how small your question is, we are here to help! During the summer, your child’s camp can be contacted directly too! Safety always has been and will remain our number one priority. Each of our fantastic sites is initially risk assessed at the start of each camp and our staff continue to risk assess throughout the duration of camp. 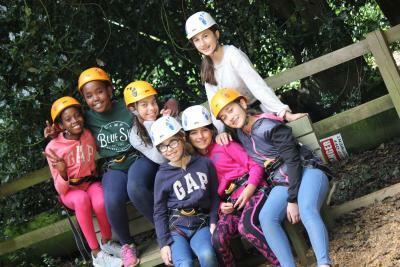 Activities are risk assessed too as well as the quality being monitored by Activity Managers at our residential camps. The safeguarding of our campers and staff is paramount to us too. All of our staff go through detailed, up to date, interactive training before our camps begin, covering topics including how to deal with a disclosure, signs of abuse and how to safeguard themselves. Each of our sites has a DSO (Designated Safeguarding Officer). We know as parents that leaving your child in the care of somebody else can be a tough decision, however, we are confident that for as long as we continue to follow our five main principles, our camps will be the happiest, cosiest and friendliest camps in the UK!